While Mona Lisa and The Last Supper defined Da Vinci's art, his "Virtuvian Man" is without a doubt the symbol of his scientific side. The Virtuvian Man is a great combination of art and science, just like Da Vinci himself: the man who so ably caught the wisp of a woman's smile, also created drawings that would later become what we know of as a helicopter. It was truly amazing for Da Vinci to imagine a flying object without wings, especially in his day and age. Along with all this one must never forget Da Vinci's love of music (he was the creator of the Italian Lyre, a mother to the harp), the third in his triumvirate of talents and specialties, that has left a truly indelible print on the world as we know it. 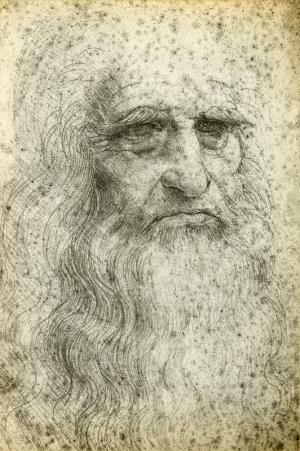 While Leonardo da Vinci passed away in 1519 it is no surprise that his legacy, ideas and his creations still live on and will for generations to come.